Saarland shows its strengths as a major logistics hub. 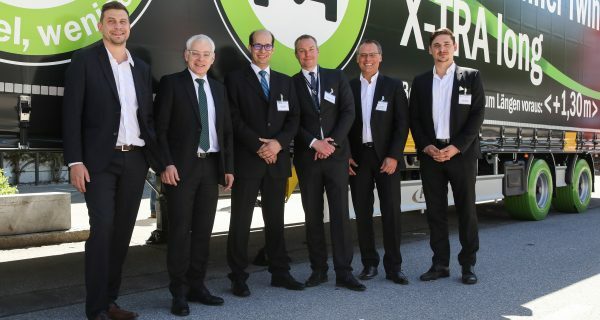 From May 9-12, 14 logistics companies from the region and, for the first time, also several state-owned organisations – SHS, Airport Saarbrücken and the Saar ports – present their range of services in Munich. Exhibiting at the gwSaar stand, they benefit from the worldwide renowned fair transport logistic to establish new contacts and to enter interesting conversations. On Thursday, May 11, also Jürgen Barke, State Secretary for Economic Affairs, will visit the fair. `Saarland is a major European hub in goods trade between East and West. A good location for businesses from nearly all branches, with short lines of communication. One call and investors get a customized, attractive relocation package involving the full potential of the SHS subsidiaries`, explains gwSaar´s Managing Director Thomas Schuck. Besides an exchange of ideas with representatives from industry and politics and with the exhibitors at the Saarland joint stand, Jürgen Barke will also visit other companies to get an impression. So, for instance, the Danish company DSV which had decided in favor of the Homburg industrial area Am Zunderbaum mid of 2016. On a 65,000 sq.m. site, the Danish transport and logistics services provider with activities all over the world has – centrally and across divisions – concentrated its formerly three subsidiaries in Saarland. All in all, DSV employs 40,000 people in over 80 countries. The new logistics center Am Zunderbaum offers space for up to 250 employed. Furthermore, the State Secretary will visit Panattoni Europe, a leading project developer for logistics and industrial real estate. Just recently, Panattoni had built and handed over to Dachser the third contract logistics building in Überherrn where Dachser employs 540 people. In Polish Sosnowiec, Panattoni develops the fifth logistics center for Amazon. Interesting impressions for the State Secretary are also guaranteed at the stand of the Ernst Frankenbach GmbH. In cooperation with BahnLog, the company operates a road-rail transshipment terminal that offers regular services Kirkel-Mainz-Rotterdam. 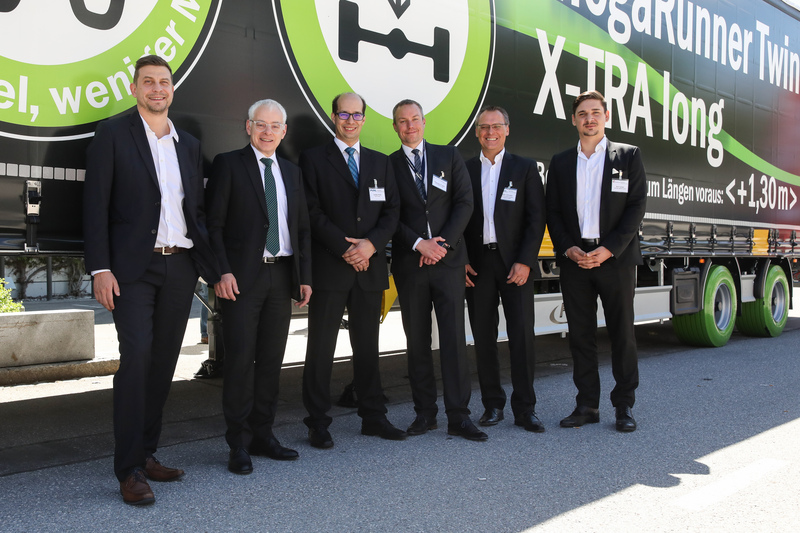 Since 1990, the Frankenbach Automobil Logistik GmbH has been a reliable partner of well-known automobile manufacturers and big car rental companies. Passenger cars and trucks are transported by Frankenbach´s own fleet of 140 vehicles and an own ship. 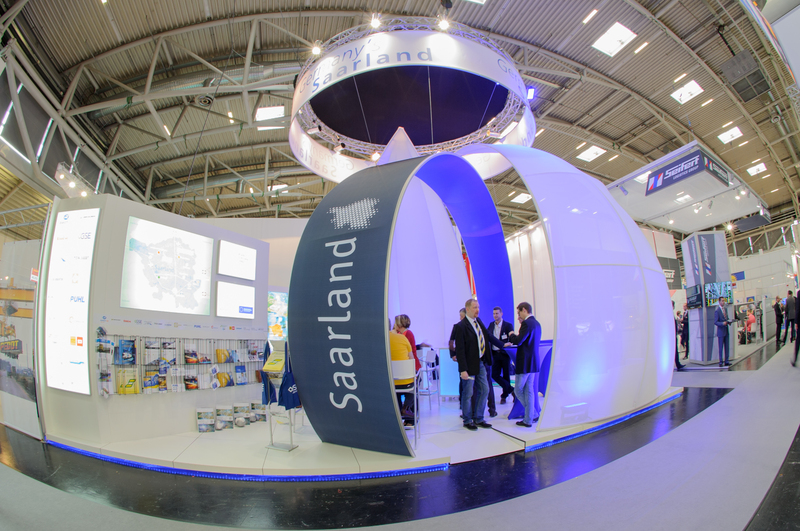 Many international logistics companies have already decided in favor of Saarland, among them e.g. Dachser and Schenker. So, Dachser operates its biggest European – and just recently expanded – transshipment point of merchandise here. Also the Nagel Group, a specialist for food logistics, is established here. For years already, Ludwig-Schokolade (formerly Trumpf) has been delivered all over the world from Saarwellingen. Further players in Saarland are e.g. Lux Logistik, an emerging Bexbach-based logistics company; Villeroy & Boch with its central warehouse in Merzig from which goods are dispatched worldwide; Merzig-based Kohlpharma, a leading medicine importer in Europe; Movianto, the Neunkirchen company with a focus on the storage and transport of pharmaceutical, biotechnological and medical products. Partners of the Saarland companies are worldwide renowned institutions of cutting-edge research like the DFKI German Research Center for Artificial Intelligence or htwsaar University of Applied Sciences. Together with other research institutions, their competence safeguards the future viability of the location. Logistics in Saarland prospers. Many businesses profit from the location´s prominent geographical position within Europe. As a result, the logistics sector grows quickly and presently employs 15,000 persons. However, employers are looking for more staff. And this, naturally, across borders. So, Dachser also participates at the Eures project, a joint project of the labor administrations in Saarland and the French Grand Est Region. In the context of this project, young people from France are recruited for a vocational training in German companies. Industrial Space is provided on over 400 areas with access to the German, French and Luxembourg motorway systems. To get a first online overview on suitable sites, interested parties are invited to visit our homepage –>gewiss-saarland.de (based on the geo-information system GEWISS). Your point of contact in this matter is gwSaar, the Saarland Economic Promotion Corporation. Being part of the SHS group whose comprehensive services range from project development to the implementation of building construction projects , services also comprising turnkey real estate can be provided.